One of my favorite things to have for breakfast are pancakes. There is just something about a pancake that feels absolutely right in the morning. However, since I am a mom of an infant I need simple, quick and easy. Plus I am always looking for meals to be as clean and natural as possible. 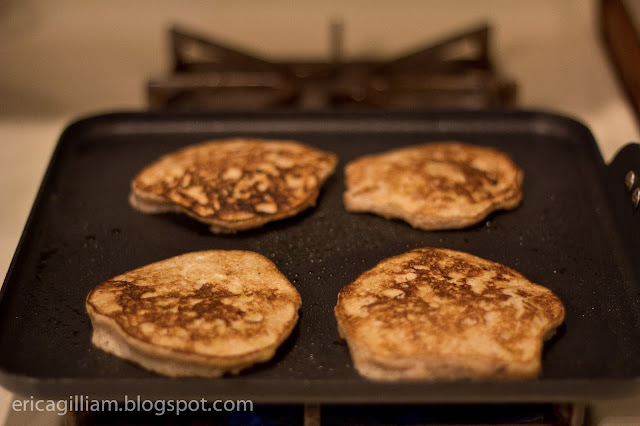 These are definitely the easiest pancakes to make and oh so tasty!! 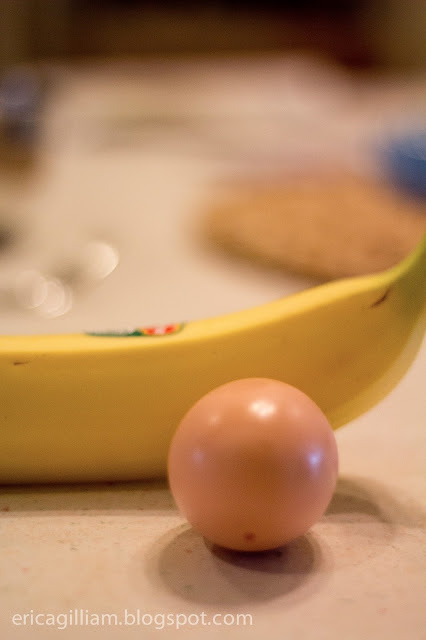 The only two ingredients you need are a banana and an egg. 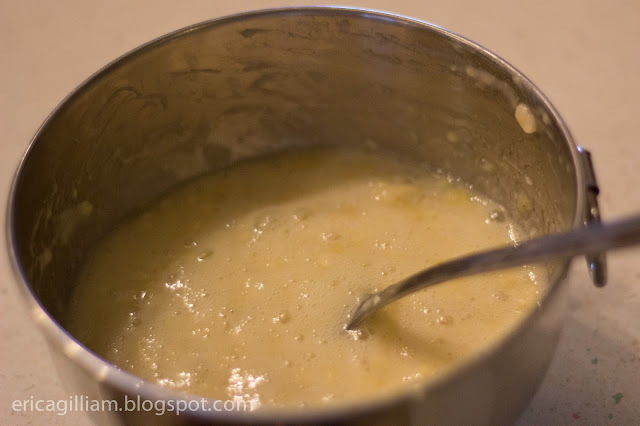 Begin by mashing up the banana in a bowl until thoroughly mashed. 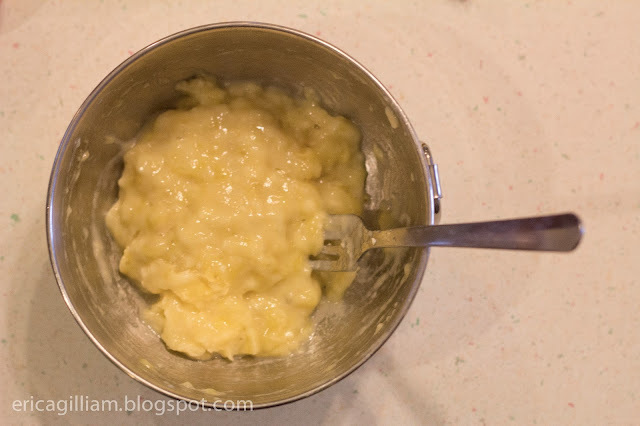 Add only the egg white to the banana. If you add the yolk it will be too runny and will be more like a crepe instead of fluffy! Now is the fun part! 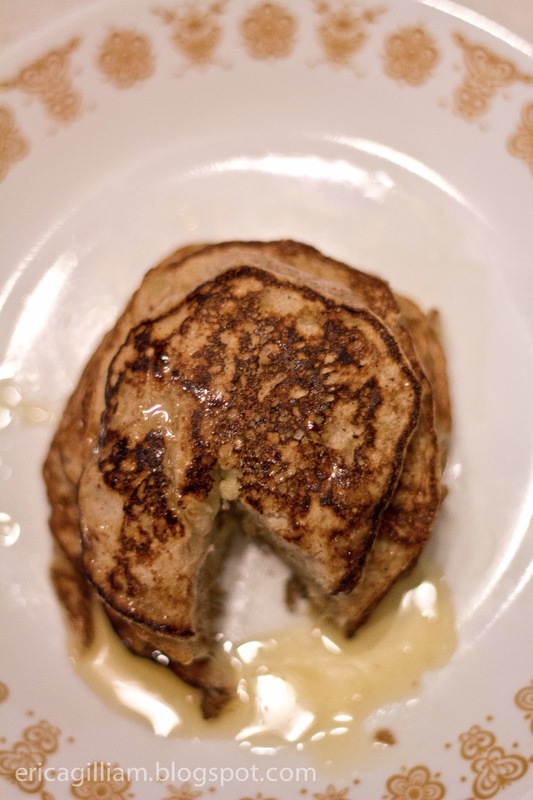 You can add anything to these pancakes that you want! 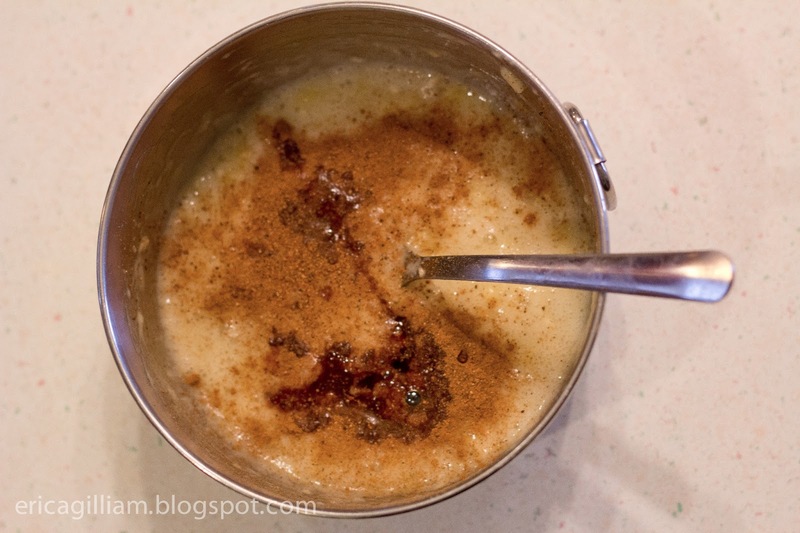 I was in the mood for Fall this morning so i added 1tsp Vanilla, 1/4 tsp Cinnamon and 1/2 tsp Nutmeg. Yummmmmmm! Put your pancakes on a griddle. Don't make them too big or they will be hard to flip over. I made mine about 3-4 inches wide. 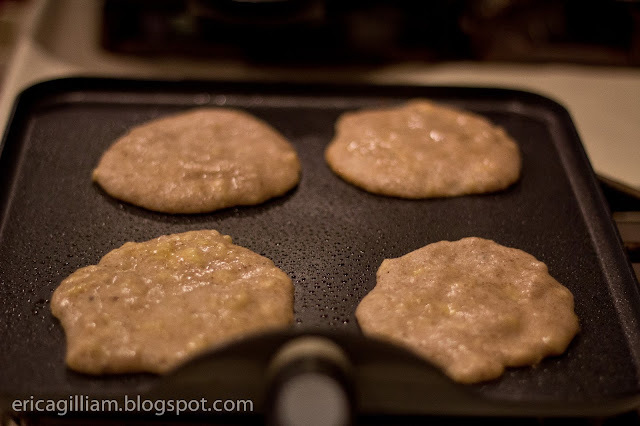 Flip the pancakes when you begin to notice the edges changing consistency and lightly brown on the botton. If you flip them too early they may fall apart. 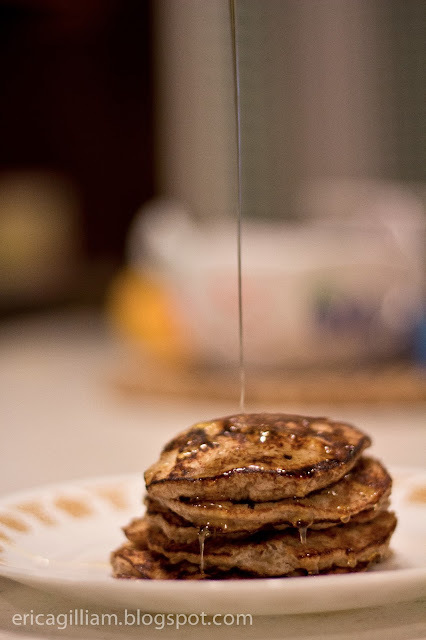 I topped my pancakes with honey from my local farmer's market! Perfetto! These pancakes were even approved by my 11 month old! She was devouring them right along with me. These will make one serving of pancakes. So if you want to make them for more people you just need to double/triple/whatever the recipe. Let me know how you enjoy your pancakes! I am always looking for new ways to make them yummy!